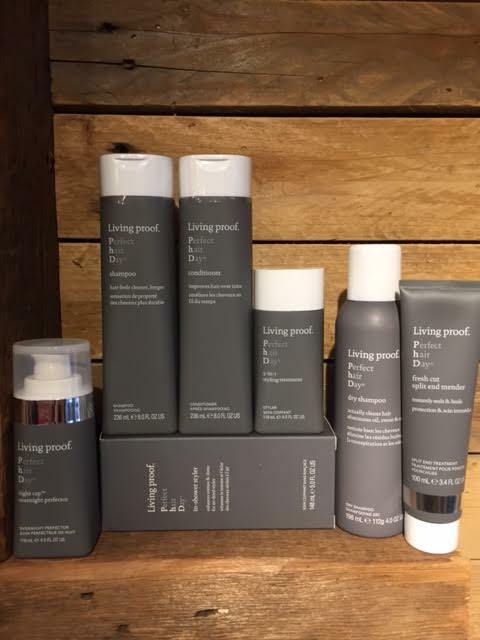 Crimson Hair Studio is thrilled to offer a product review for the Living Proof Perfect Hair Day Line! Jen, Master Stylist and Owner of Crimson Hair Studio is excited to be offering the Living Proof Perfect Hair Day (PhD) Line to her clients! Perfect Hair Day Products Include: Fresh Cut Split End Mender, In-Shower Styler, Dry Shampoo, Shampoo, Conditioner, 5-in-1 Styling Treatment, & Night Cap Overnight Perfecter. Living Proof’s methodology is based around SCIENCE! The company’s ideology involves cutting-edge scientists who work to evolve what is possible in a haircare regime. Read more about the technology employed & other discoveries about healthy hair made by the Living Proof team of revolutionary thinkers. Be sure to check out Crimson Hair Studio’s Monthly Promotions!